We all want ourselves and our loved ones to live long. Now the question is can we figure this out before hand and may be take preventive steps? Yes- vedic astrology provides both the methods of finding longevity of yours or loved ones and also – and also to various Yagyas(oblations or thought projection in cosmos) prescribed in shashtras(ancient classics) to improve longevity and health. One needs to comprehend that soothsaying is a probabilistic science and that is in accordance with karma hypothesis. So say somebody has a short life and does a ton of Yoga furthermore supplications and yagnas – the malefic impacts of the past have less risk for realization. So soothsaying like quantum material science is an art of probabilities, risks and not determinism of yes this is and this is most certainly not. With respect to we think about the different angles and determinants of the life span to go to a fundamental judgment on the same and afterward take a gander at malefic or frail periods that could influence your determinants of wellbeing. This is an objective methodology and inline with cutting edge method for taking a view at life span. • Yes appropriate supplication and maha mrutyunjaya japam can change things. This is not a conviction framework but rather an experimental procedure of channelizing however energies for your prosperity. The basic factors that affect the longevity of any person. Strength of Lord of eighth house. Strength & placement Saturn also is a factor in longevity- as a karaka. If the lord of the 8th house or randhr bhava is in angles that is (4/7/10) house- one could enjoy long life. If the lord of eighth house is in conjunction with lagna (ascendant lord) or a malefic and is in eighth house, the longevity is questionable. If Saturn or shani and lord of 10th house (karma bhava) are in eighth – with is malefic planet or lagna lord. If the lord of 6th or ari bhava is in 12th house of vyaya( negative in negative means positive) also if the lord of 6th is in sixth house itself and the lord of 12th house is in 12th house, also if the lord of 8th and lord of 12th are in 8th house.The same principle of negative cancels negative exists here. If the lord of the 5th/8th (fifth and eight house) and second house are in own D9 (navamsa), or own sign/rashi or in signs or rashis if friends- the longevity is suggested. If the lord of the ascendant(lagna) , the tenth house, the eighth house and Saturn are all placed in angle houses (4/7/10) or trine houses (1/5/9)- the person would love long.He one can see the strength of 8th/ascendant and also 10th house and Saturn is needed for longevity. There are many combinations to do with longevity- so the overall strength and weaknesses of these planets could be sued to find out longevity. If the lord of ascendant is weak and the lord of 8th house is in angle- the life span of the person is between 20 to 32 years. If the lord of eight house is weak or in debility and also the eight house has a malefic in it and the lord of lagna or tanu bhava(ascendant) is weak. If the lord of eight house(randhr bhava) , eighth house and the lord of twelfth are conjunct with malefic planets- the child may not live long. If the bad or malefic planets are in trines(1/5/9) or angles(4/7/10) and the good planets(benefics) in the sixth house and or eight house. Also at the same time the ascendant has the eight lord in debility or weakness- the longevity is questionable. If the of 5th house and 8th house and lord of eighth house are all conjunct with bad planets or malefic. There could be short life span. If the lord of eight is in eighth itself and also moon(Chandra) is with malefic planets and does not have good aspects(drishti), the child may not live beyond one month. If the lord of ascendant is strong and also moon(Chandra) and Jupiter(guru) are in the house of gains(eleventh/labha bhava) and eight house. The longevity is good. If the lord of ascendant is very string and is aspect-ed by benefic planets that is placed in an angle like 4/7/10- the person could gain wealth, be virtuous and be long lived as well. what is my life range [to which year will i live] and what will be the reason for death as and when it comes? Your Natal Chart proposals about You. You could set out and cherish for travel could be there. Your life could be momentous. You have avoid clashes , battles and yes mishaps. One may leave the world all of a sudden because of part of blemishes. In seniority trust individuals with consideration. Your ascendant is Venus and it is somewhat old-yet sit in Kendra place of Aquarius and is reasonable on not all that solid investor Saturn. Your Venus is sufficiently reasonable in trikona place of fifth house. Sun the leader of essentials is feeble, however in ninth place of trines. The eighth master Jupiter is solid in your Kendra place of fourth and angles your tenth house where you ascendant is-so fortifying your life span. There is no malefic angle to first house or eighth house master. Saturn the karaka for life span is not exceptionally solid but rather in Kendra so picks up in quality. In spite of the fact that Venus likewise runs place of wellbeing so could give wellbeing inconvenience like kapha and different issues time to time. All the above mixes recommend a deerghayu for you that are 60-80 years atleast. You run Venus period till 2018, Venus could give you the accompanying heath issues that you must be watchful about with Yoga and pranayama. The ketu period from 2017 October to 2018 end could be somewhat hard well-being insightful as it perspective your ascendant at 21 degrees. September/oct 2016 could be somewhat hard however not to stress, but rather it has gone as ketu is in precise conjunction with your ascendant degree. August may be a somewhat candidly requesting and attempting time also and with some overflow’s to September. Apprehensive anxiety would leave with Yoga and pranayama.Keep your feelings in control and all eventual well. Oct-Nov 2017 – special needed care maha mrityunjaya japam would offer assistance. November could be somewhat upsetting and may not be extraordinary for well-being but rather petitions would fare thee well. 2019-jan/feb (January could be a bit harder, and fairly February). Sun however powerless is in Kendra house and guidelines trikona houses so you would be fine generally. How would we judge longevity of Imran khan? the basic framework to judge longevity or life span is based on strength of lagna or ascendant and also the eighth lord of longevity from lagna and yes moon sign as well. Also it is judged based on Saturn the ayushkaraka and also the placement of malefic like Saturn, mars, rahu and ketu in the horoscope plus the strength of benefics also in the kundali of the person. Longevity depends on the markesh(killer) bhavas and associated planets of second house and seventh bhava plus also on the malefic transits and the dasa periods. 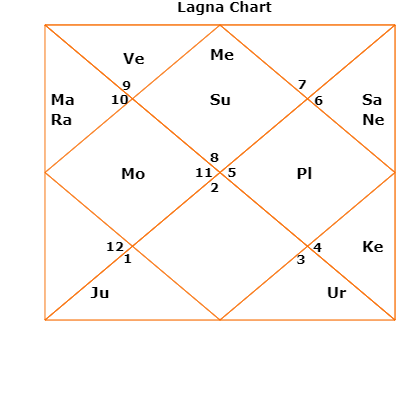 What is the Longevity of Imran khan based on His lagna & Moon chart? The lord of the horoscope of Imran khan is very strong and exalted in the 3rd bhava or house in the sign of Capricorn or makar rashi. This gives him great strength in arms, bowling capability and also gives him a promise of good longevity. Let us explore these matters further. But sure rahu suggest fear from negative people and terrorist to imran khan. The lord of the eighth house of longevity is in the lagna, this is a mixed indication in one sense it sort of both strengthens mercury but again makes one accident, explosion prone. The longevity lord mercury gets good enough energy from leadership action lord of career house or bhava for Imran khan, now the prime minister of pakistan.But still this is average we can put it at 75+( barring terror attacks etc that GOD forbid have t looked deeply based on dasa and transits). what is the Longevity imran khan based on moon sign or rashi? the lord of the lagna is Aquarius or kumbha form moon sign now this is in the eighth house. so sort of reinforcing longevity. It is sitting on weak and retrograde mercury that sits on the enemy sign of scorpio or vrishchika rashi so not very well placed. Mercury the eight lords is placed with the markesh(killer) sun the lord for the seventh house from moon, in the tenth house . this again is not a good augury. This gives an age estimate of 65 to 70 years. The malefic sun is in lagna, also mats and rahu in third bhava and Saturn in eleventh, so mostly the Kendra bhavas or houses are taken care of. The benefics like Jupiter or guru is in sixth bhava and mercury in lgana,but venus in markesh bhava. so over all longevity based on lagna for imran khan is 75 to 80 years. What is the General Longevity analysis for Imran khan? what is the Longevity of Imran khan based on His Navamsa or d9 chart? now let us look at the core planets mars and mercury fro Imran khan from lagan chart how are they placed in the d9 or the navamsa chart. Moon sits with mars in the markesh bhava of seventh. Moon has rahu energy with him , so negative people and terror prone people have to keep at bay. Mercury for imran khan is fair in the fifth house but with malefic ketu. the lagna lord mercury is in the fifth bhava or house but with ketu.ayushkaraka but bad health lord Saturn (shani dev)is in the lagna. so over all this gives a longevity of 70 to So over all lagna and navamsa based longevity is around 75 years. 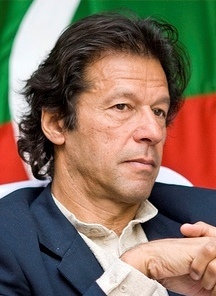 What is the longevity of Imran khan in current dasa, terror threats etc? Imran khan is running venus maha dasha and currently venus in venus till 2018 ending. venus is a markesh bhava planet s basic care is needed.Health & hospitalization needs basic acre for imran khan. But sure after November ending 2018 & December the risk gets reduced for imran khan. Over all venus rules the twelfth and the seventh house so he needs to take special care of sugar or diabetes and sexual problems. Over all following the regimen for health is very important for imran khan. 2022 to 2025, special care on terror matters is needed for imran khan. we wish sadbudhi and good health to all in the world.Thats what Vedas teach us.